The Chamonix valley is located in the western and northern part of the Alps. Only 15 km from Switzerland and similarly 15 km from Italy via the Mont Blanc Tunnel, the stunning valley is a fantastic place to visit for its own merits or to access the Tour du Mont Blanc trail – either in part or entirety. 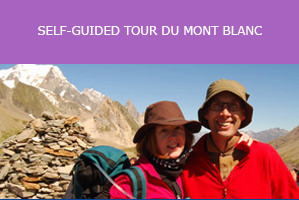 The Salamander Adventures Tour of the Mont Blanc massif begins in Argentieres a few kilometres north of Servoz. The point where the three countries’ borders meet is at the summit of Mont Dolent (3820 m). The Chamonix valley is dominated by Mont Blanc, the highest peak in Western Europe with its 4810,45m while the region’s native inhabitants not including tourism now stands at a current population of approximately 14000. Those staying in Servoz area will be stunned by the nearby transparent, clear water lakes. The Green Lake is a stunning blue algae shimmering lake that gives an awesome emerald hue to the beautifully clear water. The Lake is accessible by organised hiking from the Plain Joux and Old Servoz, and is surrounded by stunning pine spruce forests. Servoz can also provide a great access base to visit the waterfalls and canyon of the Diosaz, a stunning trail of five waterfalls and alpine shades. While the resident population of the Valley of Chamonix is 13816 inhabitants, this population changes with tourism in the winter months. 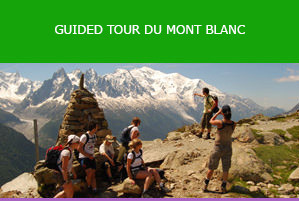 The Tour du Mont Blanc takes place in the summer months to avoid severe weather, making these communes an excellent place to visit in the quieter season. For more information about Servoz, please visit the following sites that also provide more in-depth details regarding the wonderful and unforgettable charm of the Chamonix Valley.